Are you looking for an easy cake recipe? 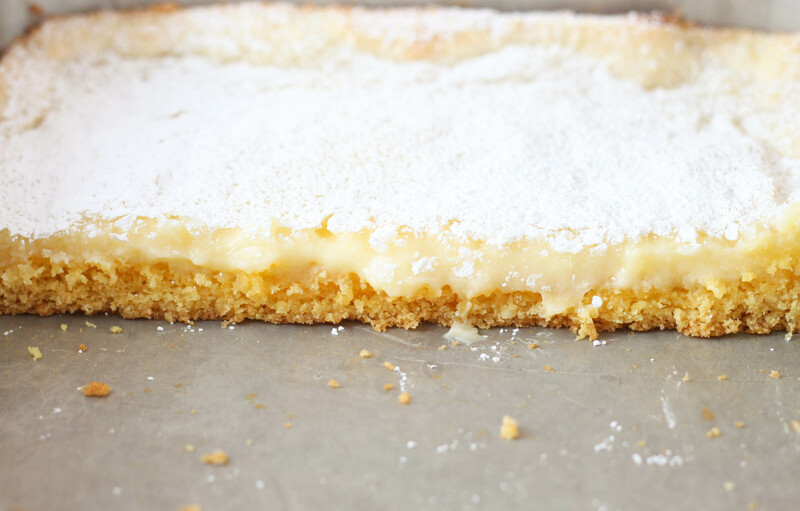 This Gooey Butter Cake is lick your fingers good and only has 5 ingredients. This cake was so good I had to get it out of the house before I ate it all! 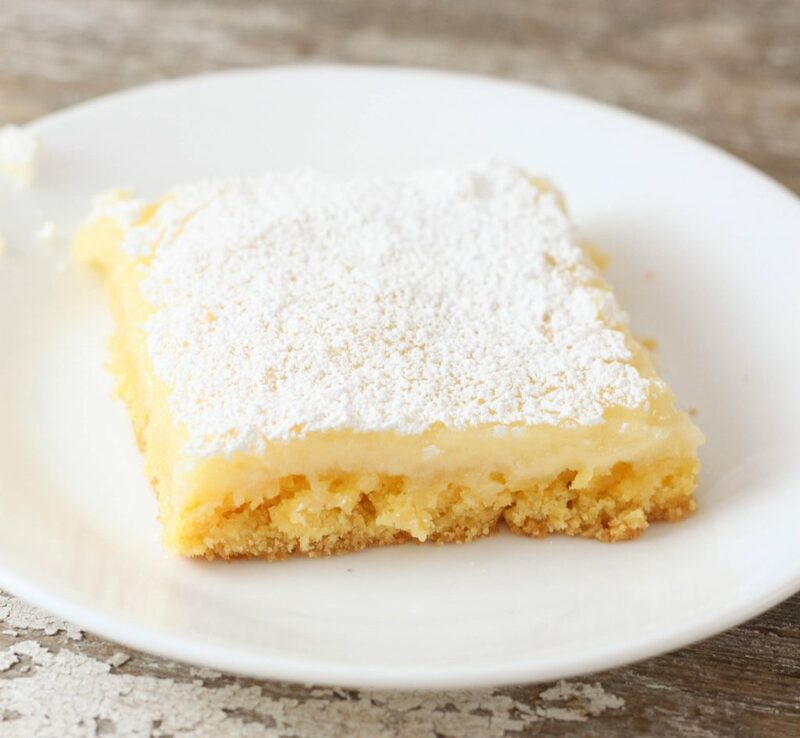 This recipe comes from an old homemaker cookout I found at my husband’s grandmas house. 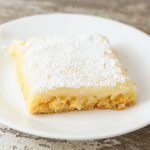 This cake is more bar like with two layers, a crust made with the cake mix and a gooey top layer, hence the name! 5 ingredients is all it takes to make this yummy recipe! It is super simple, my favorite kind, which makes it great for picnics and potlucks. Why spend a bunch of time cooking when you can spend that time with your guests! To make a smooth filling layer be sure to let your cream cheese come to room temperature. Cleaning the knife after each cut will help ensure a cleaner cut. The gooey filling tends to stick on the knife and can make a mess of the shape of your bars. I can’t wait to try variations of this recipe, chocolate is a must! What other flavor combinations do you think would be good? Mix the cake mix, 2 eggs and melted butter with an electric mixer on low speed until mixed well. Pour into a greased, 9x13 inch pan. Mix together the cream cheese, remaining 2 eggs and powdered sugar with an electric mixer on low speed until blended, beat an additional 30 seconds. Hello…haven’t tried anything yet…just discovered your site…but really looking forward to it. 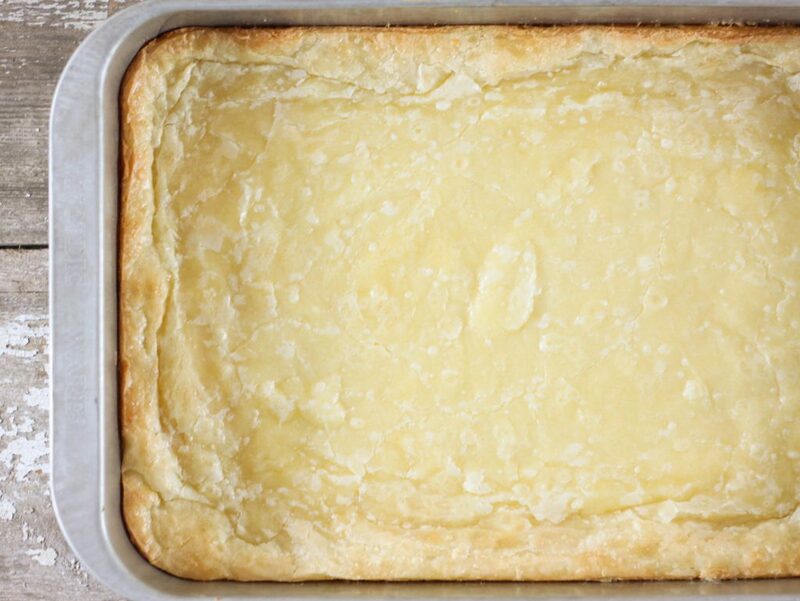 This Gooey Butter Cake sounds delicious…and easy is for me these days..thank you..Pam in Green Bay Wi. Hi Pam! So glad you stopped by! Made this tonight…super yummy! Not helpful with my diet tho lol. 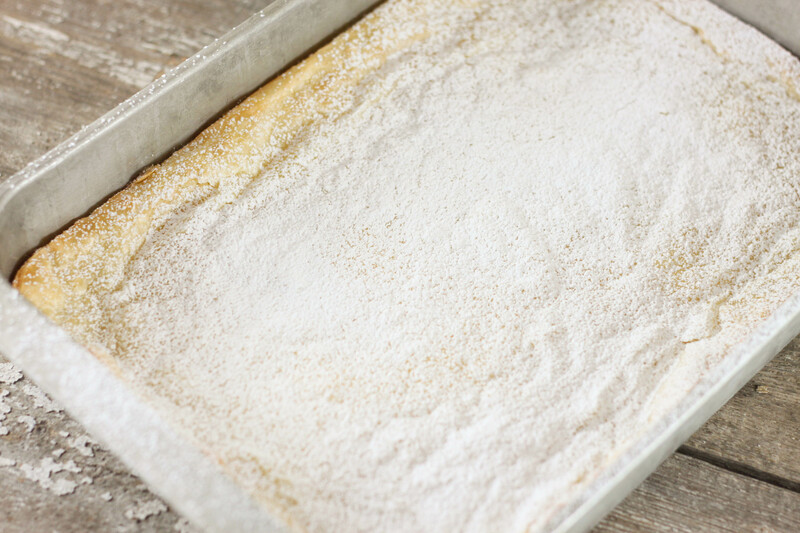 Next time I might use lemon cake mix just for fun…have you tried that? I haven’t tried lemon, but now I am going to have too! So glad you liked it! I made this last night. Absolutely amazing, and so easy. I’m taking a batch to work on Monday. I’m curious, should I keep this refrigerated? You don’t have to but could if you wanted to. So glad you liked it! I’ve made it with pineapple cake mix. The only difference in my recipe is it calls for 3 eggs instead of 4. I always get asked for the recipe and they can’t believe it is that easy to make. Seems so easy and perfect to take for “Gatherings” of all kinds. Just watched you on FarmHer…loved your home, family,and farm. The Lord “BLESS” and keep you. I’m in Liberty , Texas and we are dealing from the effects of hurricane Harvey. I feel like baking…wonder if I have a yellow cake mix….. Thanks so much for the comment. The FarmHer episode was of my friend, The Farmwife Feeds, farmwifefeeds.com. We make it confusing! We all started our blogs together. She is one of my good friends and neighbors. I only made a small appearance on the swing. Prayers for you all as you weather the storm! Baking makes everything better! I can’t wait to bake this cake! One question I have though, Do you use the whole pound of powered sugar with the topping? No but I can see how you thought that so I updated the recipe. The 1 lb. is part of the gooey layer then you will need some to dust the top. Enjoy!